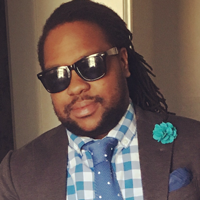 Maxwell Scales serves as the Audre Lorde Project's Deputy Director, focusing on resource organizing and financial sustainability. Born and raised in the South, Max has been living/learning/working in NYC for over 15 years. He most recently worked at ALP's sibling org, the Sylvia Rivera Law Project, as the Director of Development and Finance, managing institutional funding and daily financial operations. Max has a decade of experience as a professional fundraiser, including development work at Lambda Legal, the Brennan Center for Justice, and the Gay and Lesbian Alliance Against Defamation (GLAAD), focusing on events, planned giving, direct mail, and major gifts. He is a Certified Non-Profit Accounting Professional. Max is into intersectional lenses, wealth redistribution, and spreadsheet shortcuts. 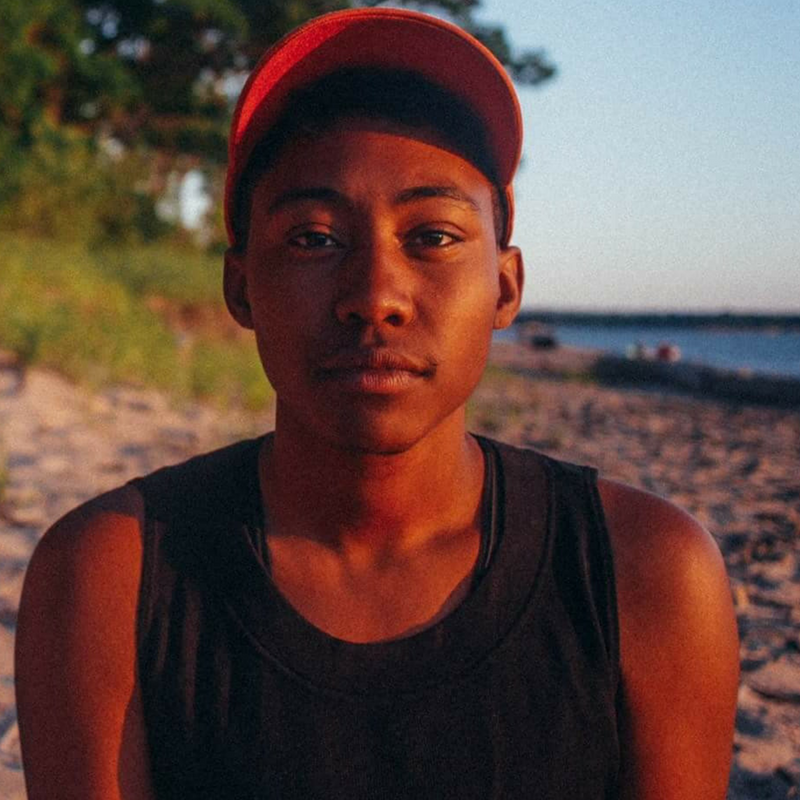 Maxwell identifies as black/queer/transmasc and uses he/him/his pronouns. Simone is a Black, queer, femme, disabled organizer passionate about developing ways we can bring our full selves into liberatory movement work and integrate our ancestral magic through abolition, disability justice, racial justice, and healing justice. 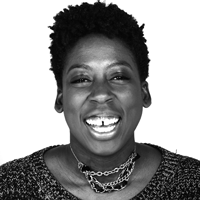 Born to a New Yorker and a “Chocolate City” Washingtonian, Simone instead grew up in Senegal, Ghana and Indonesia. A daughter of no place and many places, she continues to find home with those who share her politic & practice; who move in recognition of the scars of colonialism and the scam of borders; who fight for the self determination of our people. Simone has been a core member of ALP since 2014, organizing within Safe OUTside the System Collective and Membership. Before working at ALP, she was doing personal healing work with naturopathic and integrative medicine doctors and wants to bring that knowledge into every movement space. Simone is excited to honor our collective legacy of resilience and create and dream of transformation for our people in this new role. 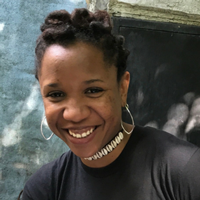 Kerbie Joseph is a first generation Haitian woman from Brooklyn, NY and a community organizer with the ANSWER (Act Now to Stop War and End Racism) Coalition. Kerbie has organized and led the Stop The Cops unity march from the Bronx to Harlem, in solidarity for Trayvon Martin, Ramarley Graham and all police brutality victims. Kerbie is a lead organizer in the Justice for Akai Gurley Family campaign and works with many of the police brutality families in NYC. Kerbie has organized along side many of the police brutality groups and progressive politicians in NYC as well. Kerbie has spoken at Yale University, Fordham University, NYU, Temple, CUNY, and at Adelphi University on topics such as: racism, police brutality, class, LGBTQ struggle, women's oppression and organizing. Kerbie previously worked as a youth counselor at the Ali Forney Center, which is the largest LGBTQ homeless housing shelter in the U.S. Kerbie was also a case manager at Damayan Migrant Workers Association where she worked with labor trafficking survivors and found housing for them. Kerbie continues to do solidarity work nationally and is excited about growing with the Audre Lorde Project. Kade Cahe, pronounced KD K, is a first generation Black Dominican Queer GNC Masculine of Center person from the Bronx. Kade often dreams, schemes, and acts to dismantle anti-blackness, transphobia, ableism, gender-based violence, the prison industrial complex, and capitalism, to start, while creating radical restorative futures within our communities. They organize through the BYP100 New York City chapter as one of the Healing and Safety co-chairs to bring holistic liberation to all black people so that we can all be free. Kade utilizes their background as critical educator, organizer, and leadership trainer, on Swipe it Forward! actions to help end broken window policing, #SayHerName events, and when integrating wellness into organizing spaces. Before working at ALP, Kade was a Senior Trainer at the Posse Foundation where they recruited students for Posse’s full-tuition scholarship program, led workshops on leadership, identity, power, and support to ensure that students were persisting in their goals. Kade is excited to work and grow with ALP to further merge their organizing and leadership development within our LGBTSTGNC people of color community. 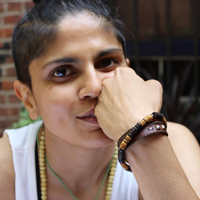 Janhavi (aka DJ Tikka Masala) joins the Audre Lorde Project with the intention of bringing 14 years of nightlife promotional strategy, and 7 years of instructional media design with teaching and learning online at the Pratt Institute, in addition to 2 years at Astraea, learning about global and intersectional feminisms.She/they also work at Henrietta Hudson, the oldest lesbian bar in new york city, and one of the last 5 in the country, as a resident DJ and previously social media director. With an academic background in documentary film, Janhavi’s focus is telling stories using a variety of media, including photography, film, audio, social media, and music. Janhavi’s sensibilities about movement building come from a place of connecting collective historical narratives with the new perspectives required to catalyze growth. They are also on the first ever nightlife advisory board of the mayor’s office, and spend a lot of time thinking about how to make the same spaces where people find their queer identities in community promote self-determination inclusivity. 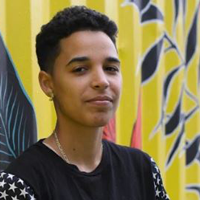 Rumi is a Black and mixed race nonbinary andro-queer kid from Queens. They are blessed to spend most of their time lifting up the rich survival autotheory offered in the stories that comrades at the Audre Lorde Project and scholars of color across CUNY institutions exchange in our respective movements. They labor in solidarity with economically disenfranchised, neurotypical, indigenous / diasporic people of color and centers these communities in their studies and vision for the future of liberatory therapeutic practice for chronically traumatized peoples. Among other roles, they have served as a group facilitator, community liaison, and health and wellness educator for LGBTQIA communities since 2013. They relish in arts-driven, earth-honoring collaborative program development and hosting safer, informed and generative spaces for cross-community mobilization. Rumi earned dual Bachelor’s degrees in Psychology and English at the University at Buffalo and knows a lot of words, but also believes that when it comes to expressing a robustly complex and nuanced reality, human experience tends to supersedes every single one. Rumi is a self-described ‘one-part shapeless, formless couch potato, two-parts amateur outdoorsman and survivalist, full-on earth advocate’. If Rumi was any more a fantastical creature, they would definitely be a gnome. Rumi answers to they, he and Gnomeo. Melanie Willingham-Jaggers, currently serves as board chair of The Audre Lorde Project a center for community organizing for Lesbian, Gay, Bisexual, Two Spirit, Trans and Gender Non-Conforming People of Color, in the New York City area. Mel is also the Program Associate Director of The Worker Institute at Cornell University. Melanie comes to the ALP Board with experience in ensuring the strategic, programmatic, and operational excellence as well as a deep belief that as long as there are organizations connected to our freedom movements – those organizations must be internally safe, healthy and vibrant spaces, on which movements can rely if they so choose. The diverse skill set Mel brings with them includes curriculum design, facilitation, organizing and direct service within and beyond various marginalized and intersecting communities including current and formerly incarcerated, underground economy involved, LGBTSTGNCI, youth and adults. She has organized and built coalitions in New York, Atlanta, and San Francisco. Melanie received her B.A. in Politics, Peace and Justice Studies and Philosophy from the University of San Francisco, and their master’s degree from The City University of New York’s School of Professional Studies in Applied Theater. You can catch Mel nerding out on organizational culture, operations, strategy and plotting policies and systems in service of the movement; loving queer black folk; thinking about astrology and social justice; planning her next vacation. 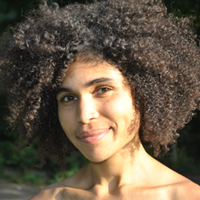 Kirya Traber is an actress, playwright, and cultural worker. She is currently in residence at Lincoln Center Education, and is on faculty at the School of Drama at the New School. Kirya received her MFA in Acting from the School of Drama at the New School, is the recipient of the California Governor's Award for Excellence in the Arts, Robert Redford's Sundance foundation award for Activism in the Arts, an Astrea Lesbian Writers Fund award for Poetry, and is a former judge for the LAMBDA Literary awards in LGBT Drama. 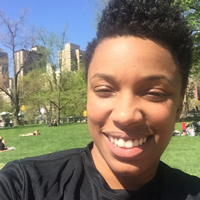 Kirya is an alumnus of the 2010 VONA/Voices retreat for writers of color, the 2012 EmergeNYC intensive at the Hemispheric Institute, was a 2014 Space Grantee at Brooklyn Arts Exchange, and is an alumnus of Urban Bush Women's 2015 Summer Leadership Institute. 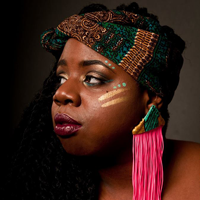 Kirya writes and performs for the stage, and facilitates collaborative art projects with youth and adults in community-based settings, and within the juvenile justice system.